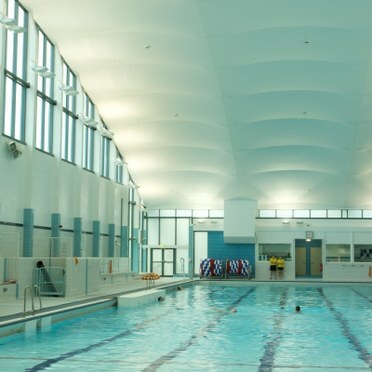 Dollan Aqua Centre in East Kilbride – the masterpiece of Scottish architect Alexander Buchanan Campbell - has been spectacularly re-lit by Thorn. 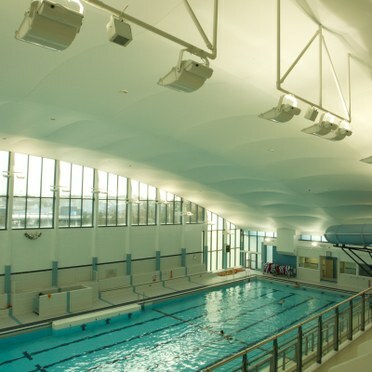 Opened in 1968 as Scotland's first 50 metre swimming pool the pre-stressed concrete building underwent alterations in the mid-90s, being lit with recessed high bays configured in eight rows parallel to the swimming lanes. 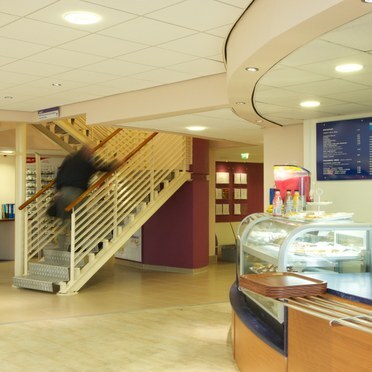 Now, after a £9m refurbishment by South Lanarkshire Council, the Category A listed building incorporates Troika flat glass floodlights using metal halide lamps. Suspended from purpose built frames, the two perimeter rows of luminaires act as uplighters to illuminate the highly reflective material covering the original vaulted ceiling. 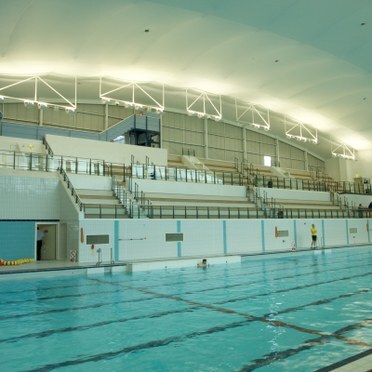 The new lighting is not only providing crisp white light with excellent uniformity and glare free viewing for spectators and lifeguards, but also reduces the amount of time spent in maintenance and lamp changes. 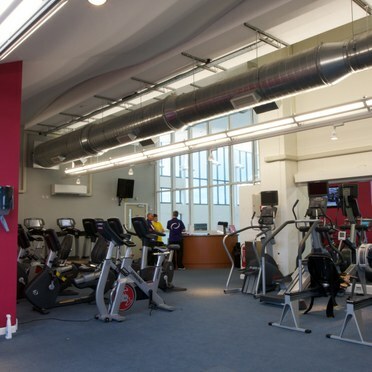 An unusual feature of the installation is the additional use of Qba LED floodlights to provide emergency lighting, fed from a local central battery system. 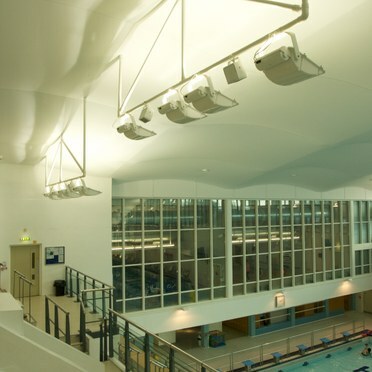 The 400W Troika floodlights were selected because of their ability to provide switchable illuminance levels for general and competition level swimming – the Centre was one of the key venues for the 2011 International Children's Games in Lanarkshire. 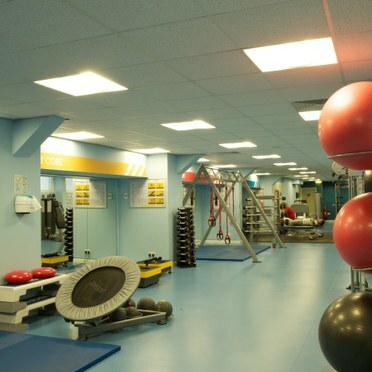 In addition to the main pool area, the smaller gym /dance rooms have been lit by a combination of Jupiter II fluorescents and Prospector spotlights, while a number of D-CO LED and Cruz downlights, supplemented by Arrowslim battens, have been used in the Leisure Suite. Electrical contractors were EMTEC, from Glasgow.